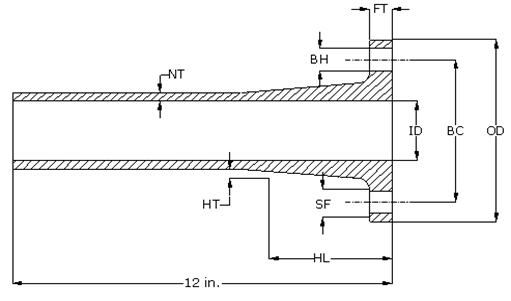 Dimensions: IGF flange, hub, and neck thicknesses meet or exceed ASME Sec. X, ASME RTP-1, ASTM D3299, and PS 15-69. Pressure Rating: Flanges are stocked in 50psi, 100psi, and 150psi. 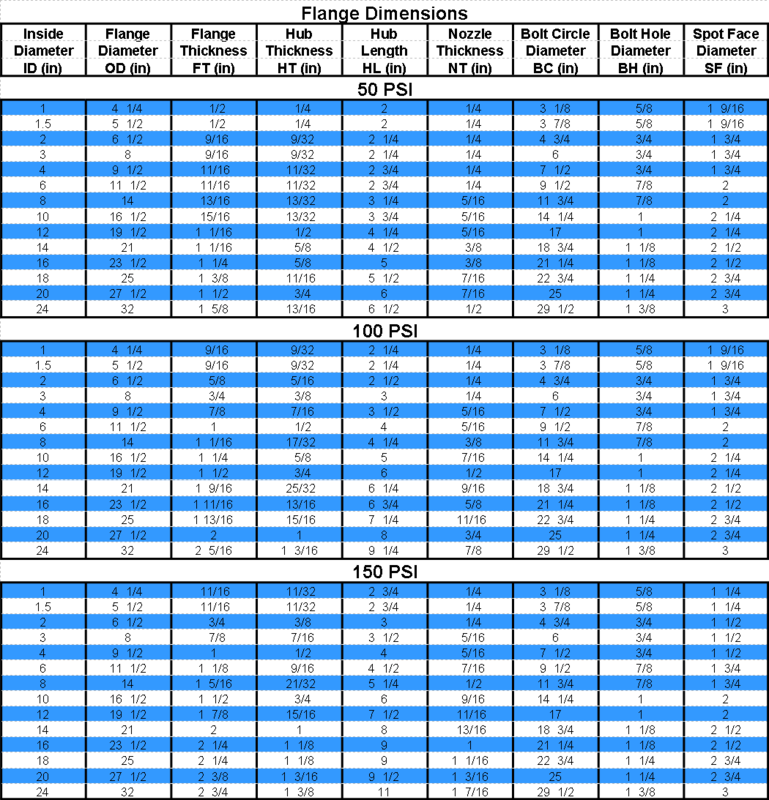 All bolt holes and bolt circles are per ANSI B16.5 150 lb. drilling. Resin: Flanges are stocked in Ashland Hetron 922, both MEKP and BPO DMA cure. We also have a large inventory of Derakane 411, Derakane D470 and ISO flanges. Other resins are available upon request. 110 mil Corrosion Liner: C-Veil+Nexus+2 Mat. D470 and BPO flanges are all double nexus construction. Resin Coating: All bolt holes and spot facing are resin coated. 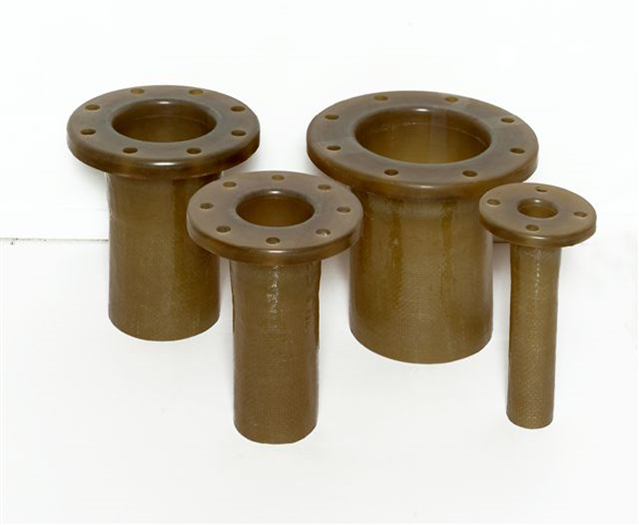 All IGF flanges are of Type II construction, Mat plus alternating layers if 1 1/2 oz Mat and 24 oz Woven per ASME RTP-1 table 2A2. This makes our flanges 1.7 times stronger in the critical flange and hub area than a typical Type I (all Mat) flange.